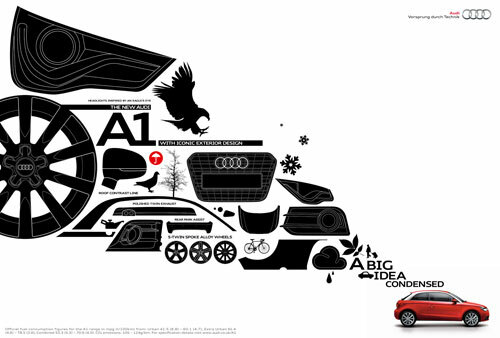 Beautifully designed ads for Audi by BBH London. 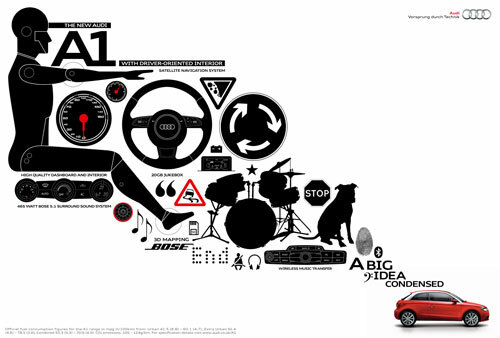 Tags: advertising, audi A1, audi A1 ads, bbh london, fancy seeing you here, fancyseeingyouhere, print, sarah hanks, Sarah Hanks Ltd. This entry was posted on Wednesday, September 29th, 2010 at 12:29 pm	and is filed under advertising, design. You can follow any responses to this entry through the RSS 2.0 feed. You can leave a response, or trackback from your own site.